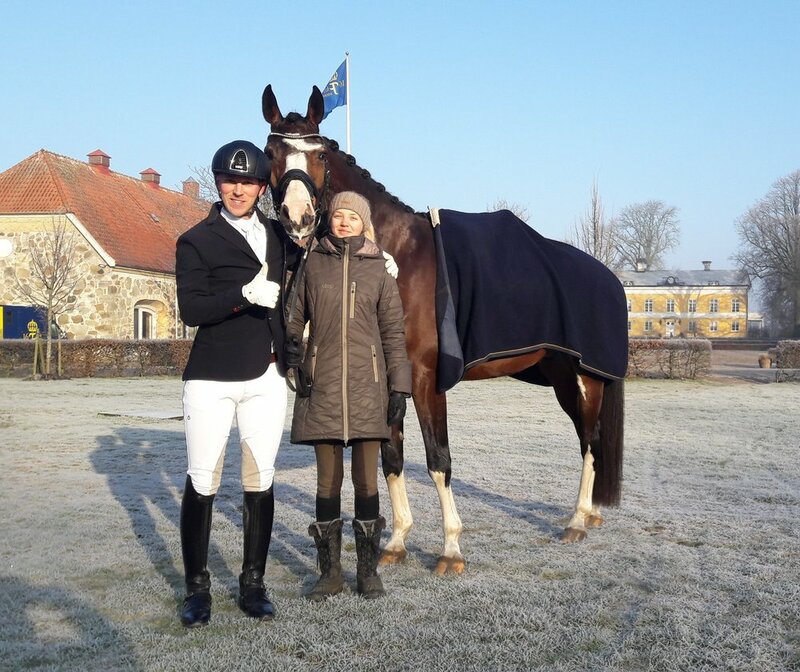 Lanigro scored 79% in the 6 yo class and is thereby qualified for Falsterbo Horse Show this year as well. Posted on May 23, 2017 by Martin Umaerus. Posted on May 7, 2017 by Martin Umaerus. Posted on May 6, 2017 by Martin Umaerus. Posted on May 3, 2017 by Martin Umaerus. Posted on April 29, 2017 by Martin Umaerus. The Inter II debut in Åstorp went super with 62,7%, ponypower! The first LFC qualification had many highlights but unfortunately a few costly mistakes. Posted on April 2, 2017 by Martin Umaerus. Ashton won and Remington was 3rd in his his first show ever. Good boys! Posted on March 15, 2017 by Martin Umaerus. With 68% in her first M:B we are more than happy. Especially since one of the changes failed in the test causing a drop from a + 70% score. Posted on March 8, 2017 by Martin Umaerus. Posted on January 29, 2017 by Martin Umaerus. Looking back at 2016 really make us look forward to 2017!! We have had a super fun year and want to thank all of you for making it as good as it was, both people and horses!! So many possibilities lay ahead and so many new memories are waiting to be made!! Posted on January 1, 2017 by Martin Umaerus. Posted on November 20, 2016 by Martin Umaerus. Posted on September 30, 2016 by Martin Umaerus. Posted on September 29, 2016 by Martin Umaerus. Posted on September 25, 2016 by Martin Umaerus. Posted on August 22, 2016 by Martin Umaerus. Lots of comments for good riding from the judges. Posted on August 4, 2016 by Martin Umaerus.